The JR Tozai Line is an underground rail service that runs between Kyobashi Station in Osaka and Amagasaki Station in Hyogo Prefecture. 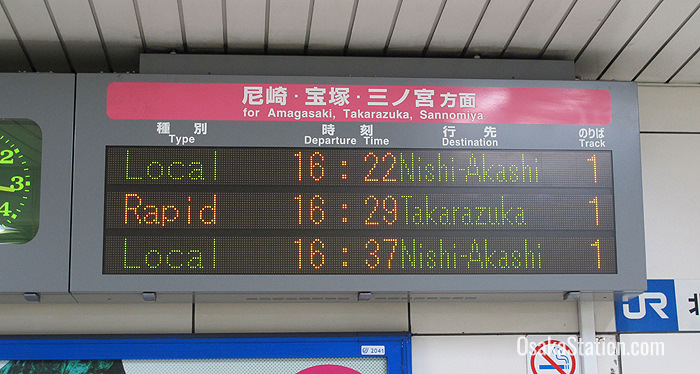 It provides an important commuter rail link between central Osaka in the east and the city of Amagasaki in the west. For this reason it is named “Tozai” which means “east and west.” This line is fully covered by the Japan Rail Pass. Though Kyobashi and Amagasaki are the terminal stations of the JR Tozai Line, many trains that run on this line continue on beyond it. Trains heading west may continue past Amagasaki on the JR Kobe Line all the way to Nishi-Akashi Station in Akashi City. Trains heading east may continue on the JR Katamachi Line (also called the Gakkentoshi Line) to Kizu Station in Kyoto Prefecture. All the key destinations and transfer points on the JR Tozai Line are given below with fares and train times given from Kyobashi Station. At JR Kyobashi Station transfer to the Osaka Loop Line, and the JR Katamachi Line which connects with Kizu Station in Kyoto Prefecture. At the Osaka Municipal Subway Kyobashi Station transfer to the Nagahori Tsurumi-ryokuchi Subway Line. Exit here for the Fujita Art Museum and the Sakuranomiya Park. 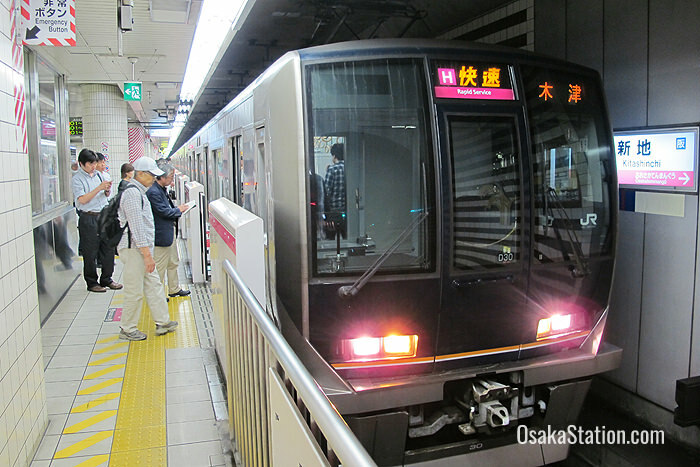 Transfers can be made at nearby Minami-morimachi Station to the Sakaisuji and Tanimachi subway lines. The Kitashinchi of Umeda is most famous for its nightlife and is packed with restaurants, clubs, and bars. 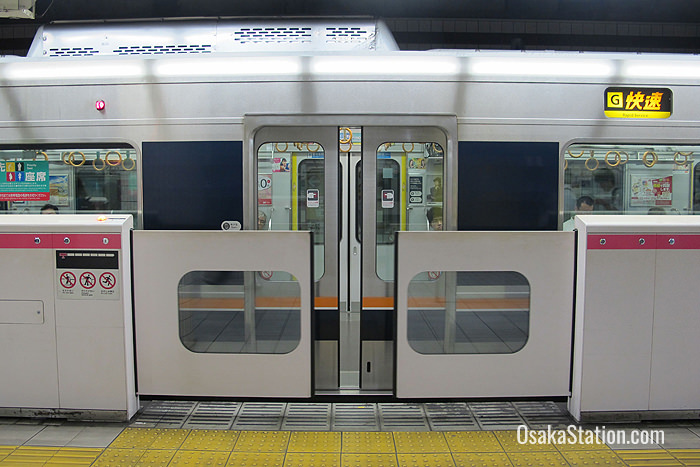 Kitashinchi Station is a 7 minute walk south of the Osaka Station and is located in the same network of underground tunnels that are also home to Higashi-Umeda Station, Nishi-Umeda Station and Hanshin Umeda Station. Though this station is technically separate from Osaka Station it is connected to it by an underground walkway, and with the correct ticket or through pass it is possible to make free transfers between these two stations. The following transfers can be made at nearby stations. At Umeda Subway Station transfer to the Midosuji Line, at Higashi-Umeda Subway Station to the Tanimachi Line and at Nishi-Umeda Station to the Yotsubashi Line. Shin-Fukushima Station is close to Fukushima Station and there you can transfer to the Osaka Loop Line and Hanshin Main Line. Ebie Station is close to two other stations, the Hanshin Noda Station, where transfers can be made to the Hanshin Main Line and Nodahanshin Station where transfers can be made to the Sennichimae Subway Line. This station serves the city of Amagasaki in Hyogo Prefecture and it is the western terminus of the Tozai Line. Transfer here to the JR Kobe Line and the JR Takarazuka Line. To see how the JR Tozai Line fits into the wider JR rail network, download the JR Line Route Map for the Kinki area. To plan your journey on JR rail lines, use the JR West Timetable and Farefinder.